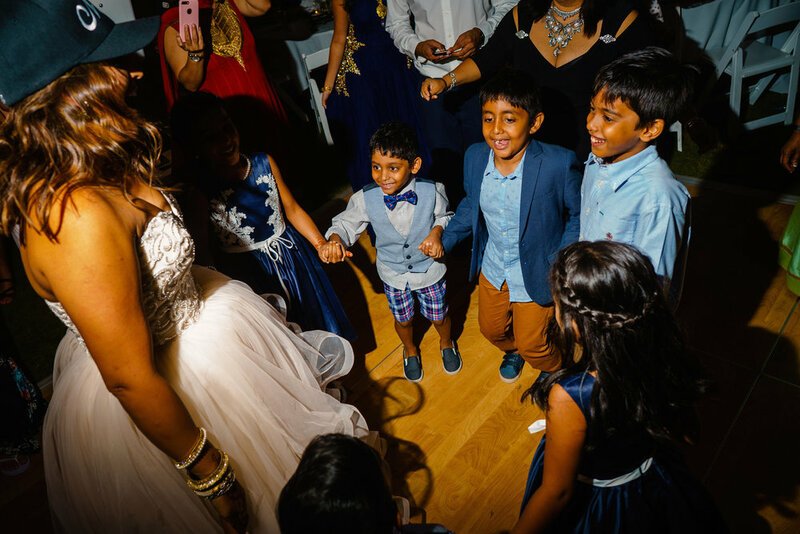 Rohan contacted us about his boathouse wedding, which we really didn't know what exactly that was. We are based out of Raleigh so for us to head to the beach we usually go to Wilmington or Atlantic, not really the outer-banks or (OBX) as you see on some bumper stickers. But when Rohan explained to us what he wanted and being able to make sure we kept Indian music as well as Latin music in the mix, I knew that we needed to be their dj and entertainment. 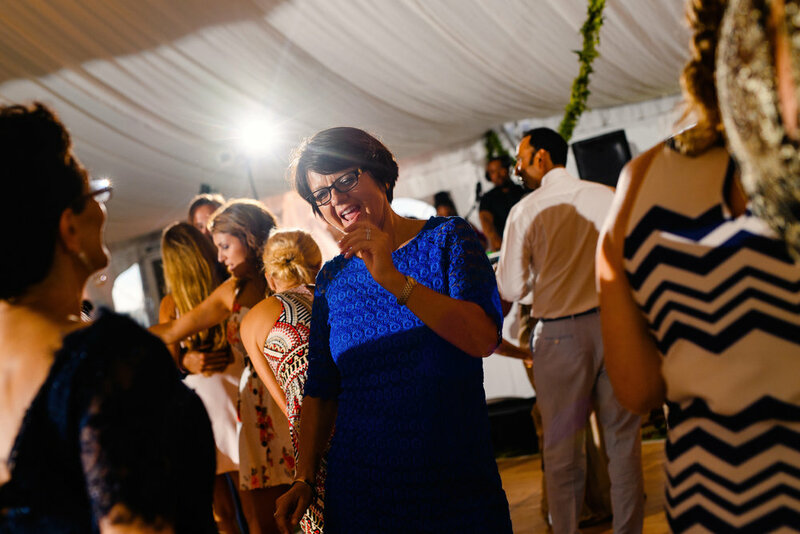 Elianna and Rohan gave us their trust in being able to create the best party possible. DJ B-Man did just that. What we pride ourselves in is being culturally aware and knowing music and dancing brings us together like no other form of communication. DJ B-Man is an expert at what he does and mixing genres of music without anyone noticing is what Cool Receptions DJs do. 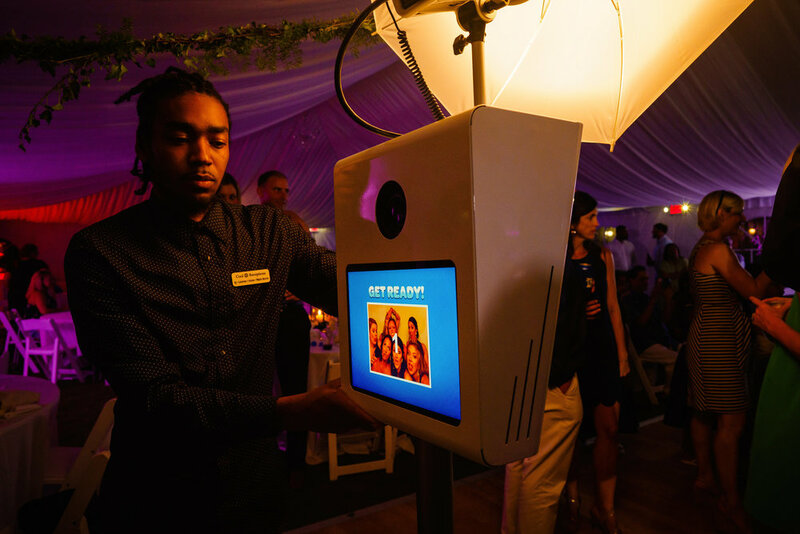 See some of their amazing pictures from the ceremony to the photo booth, and you know the dance floor was popping!